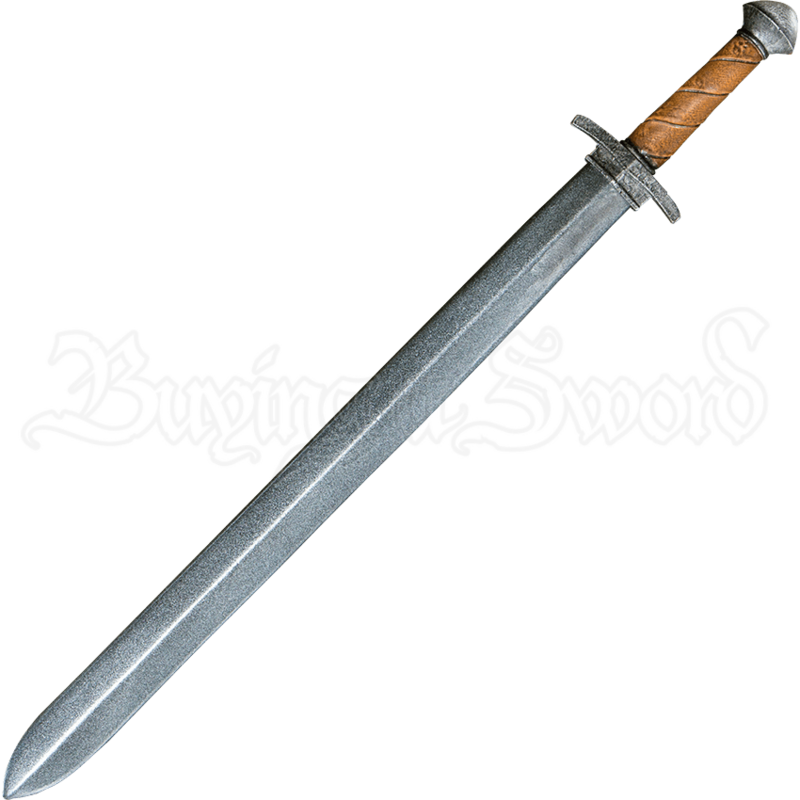 When embarking on your next knightly errand, have the right weapon at the ready when you carry the Ready for Battle Errant LARP Sword with Brown Grip. The noble style of this LARP blade is paired with a high quality construction. Based on medieval styles, the hilt is made of cast polyurethane for an impressive level of detail hand painted to look like ancient steel. The crossguard angles slightly towards the blade, the pommel has a scent stopper shape, and the handle has the look of natural brown leather wrapping. Shred resistant, closed cell foam sealed with a latex coating makes up the blade. The inner fiberglass core is both flexible, sturdy, and capped with a protective Kevlar tip. Whether for a noble knight, daring adventurer, or even a villainous rogue, this versatile medieval LARP sword is the perfect LARP weapon to add to your arsenal. 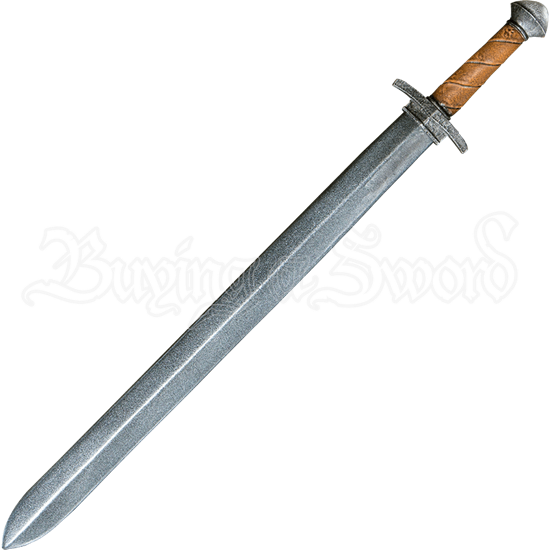 The Ready for Battle Errant LARP Sword with Brown Grip has an overall length of 29.5 inches. Please be aware that this measurement can vary slightly, as it is a hand-made item.